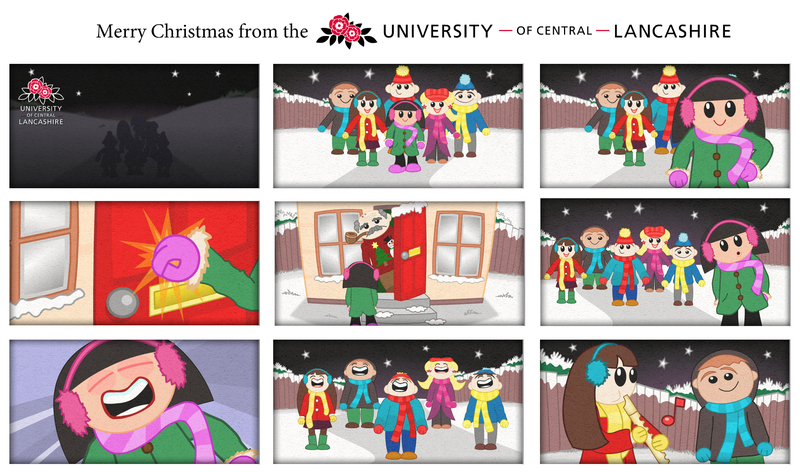 This is a cartoon Christmas card that I made for the University of Central Lancashire. 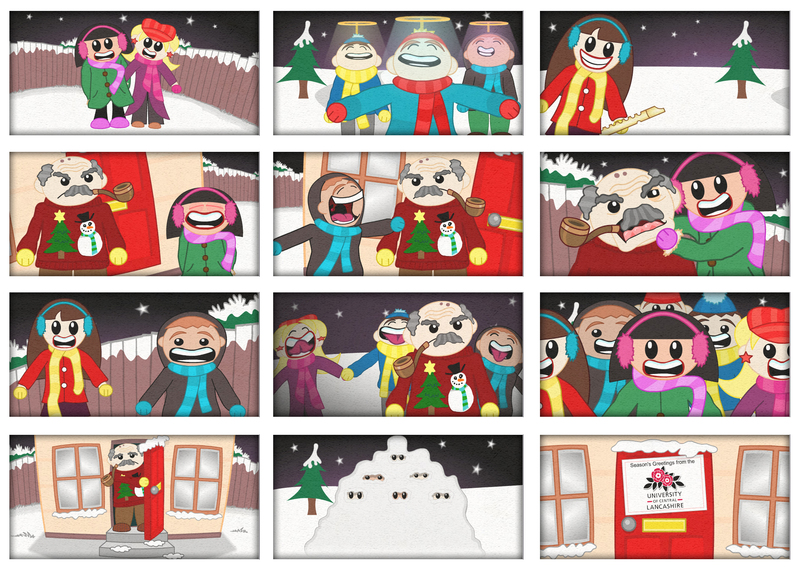 It featured a selection of cute carollers with an insane desire to entertain. 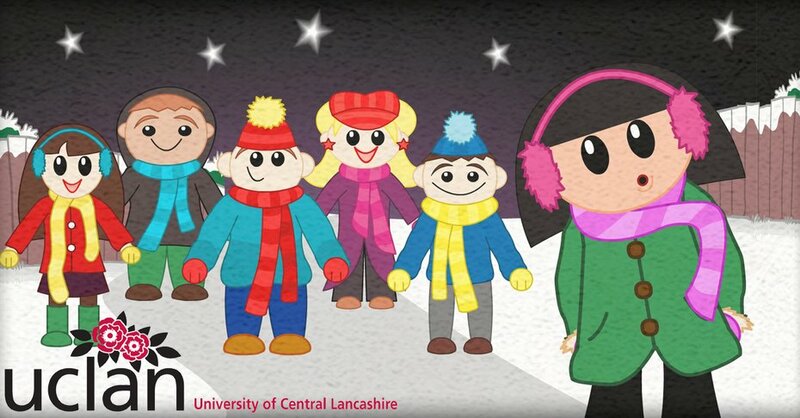 UCLAN wanted a more humorous card to be sent to all the students as an alternative to their animated corporate card which I also created. This saved the University much money on the traditional printed cards they used the year before.